Your discipline tactics shouldn't be about controlling your child. Instead, discipline should be about teaching your child how to control himself. Kids who learn self-discipline will be better equipped to face life's challenges, manage stress, and make healthy choices even when you're not around. Just because a child is well-behaved, it doesn’t necessarily mean he has self-discipline. Self-disciplined kids can choose to forgo immediate gratification. They can make good choices regardless of how they feel. Kids who have self-discipline can cope with uncomfortable emotions in a healthy way. They’ve learned anger management skills and are able to control impulsive behavior. They can respond respectfully when adults correct them and they can take responsibility for their behavior. They’ve also learned to make healthy choices for themselves based on weighing the pros and cons of their choices. Instead of saying, “I have to do this because my parents said so,” they recognize the importance of making healthy choices. They can make good decisions in terms of chores, homework, money, peer pressure and self-care. When kids lack self-discipline, parents often end up taking more responsibility for the child’s behavior. Nagging a child to do his homework or making repeated threats to try and motivate a child to do chores often means a parent puts in more effort than the child does to get the work done. Teaching kids self-discipline skills while they’re young can help them throughout their lives. People who never learn self-discipline skills tend to struggle to keep healthy habits, even into adulthood. Managing schoolwork, employment, money and household responsibilities all require self-discipline. Adults who lack self-discipline may struggle with problems such as time management and money management. A 4-year-old interrupts conversations between adults repeatedly because he can’t wait for his turn to speak. A 6-year-old constantly gets out of bed because she has trouble tolerating boredom while she's trying to fall asleep. An 8-year-old sneaks junk food the minute his parents are out of his sight. A 10-year-old spends his spare time at school playing with his pencils, rather than doing his work. A 12-year-old says he wants to learn how to play the violin but he never practices. A 14-year-old accepts a dare from a friend and attempts to steal a candy bar from a store. A 16-year-old can’t resist answering a text message while she’s driving. A 4-year-old asks an adult for help, instead of retaliating aggressively, when a peer takes her toy. A 6-year-old dresses himself right after breakfast without needing a reminder. An 8-year-old child declines to join her friends who are teasing another child. 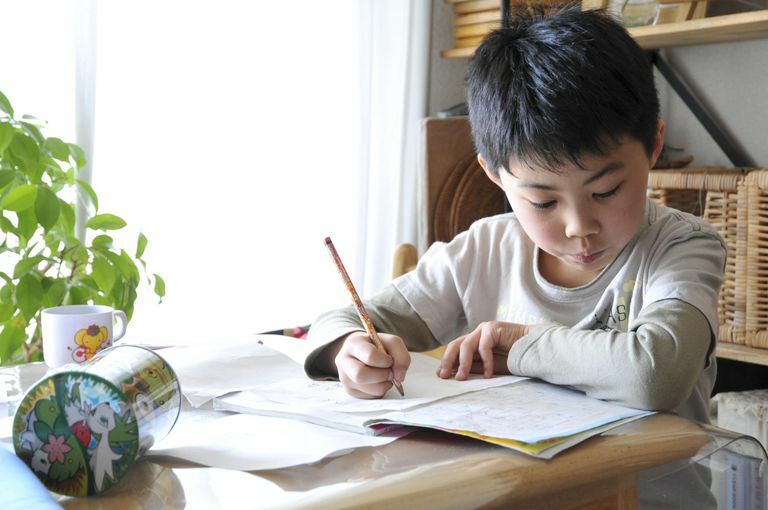 A 10-year-old sits down to do his homework after he eats his afterschool snack. A 12-year-old saves her allowance money each week until she can purchase a new game that she has been wanting. A 14-year-old tells his friends he can’t come over because he needs to study for a test. A 16-year-old chooses not to go to a party with friends because she thinks there may be some underage drinking at the party. An 18-year-old refuses to cheat on a test when his friend offers him the answers. Learning self-discipline is a life-long process and all kids will struggle with self-discipline at various times. Give your child age-appropriate tools to help him practice resisting temptations and delaying gratification. The good news is, the more self-disciplined your child becomes, the less discipline he'll need from you. When your child accepts responsibility for his own behavior, you won't need to use as many negative consequences. Instead, you'll be able to focus on teaching your child new skills and building a healthy relationship.